I noticed yesterday that one of Honey’s nostrils (the left one) look different than the other. It looks a tiny bit swollen, perhaps? My family keeps telling me that it looks fine and I’m just being anxious. Am I being paranoid or is something going on with him? My previous vet is moving away and she wouldn’t be able to answer my calls at the moment. The new vet I’m getting Honey to has his appointment scheduled for the end of this month but I can get him immediately if something is wrong. 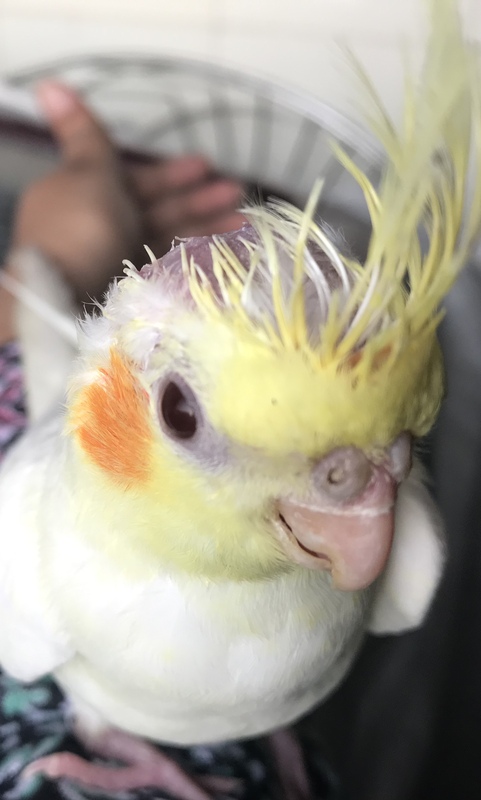 The tiny scratch you see is one he did to himself accidentally while preening. 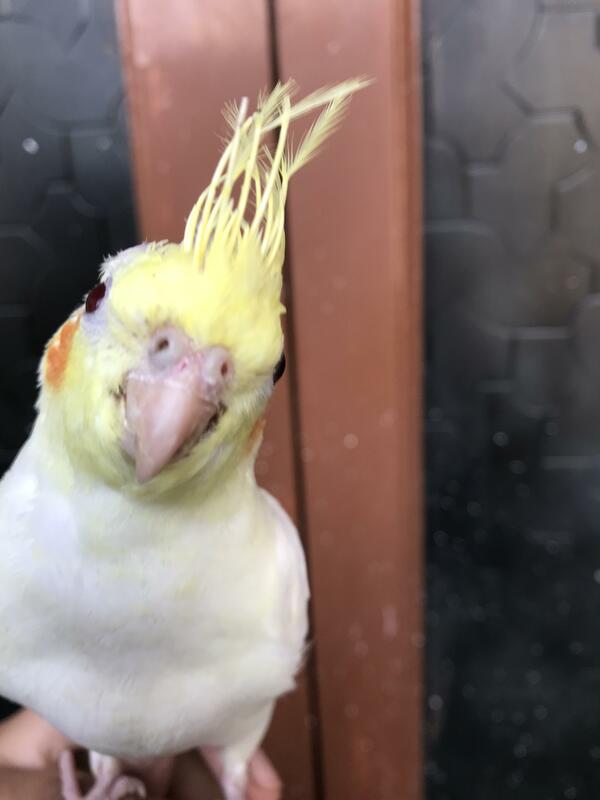 I’ve searched online and it says that my ‘tiel might have a “plug” but I don’t want to jump to conclusions. Thank you for reading. Last edited by reeisconfused; 01-16-2019 at 01:00 AM. 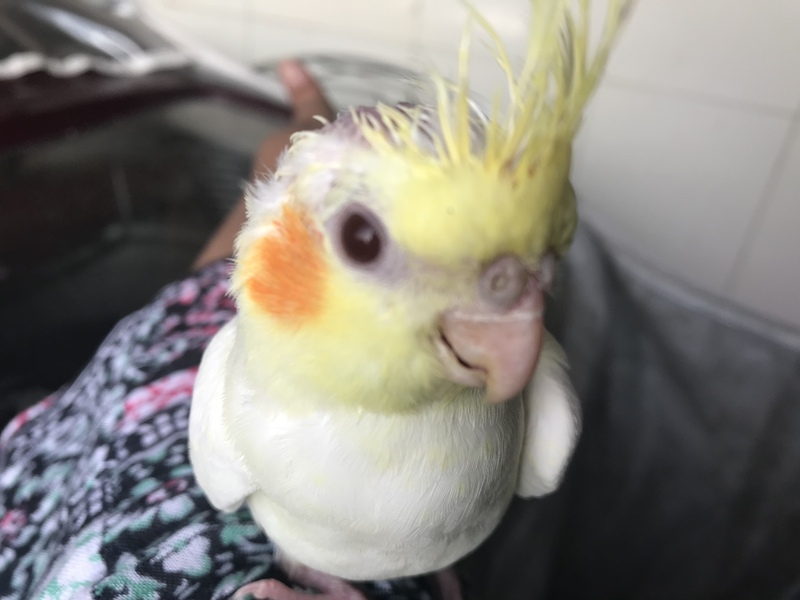 I am very paranoid when it comes to my bird...Sometimes it feels like it is for nothing, but there are at least 2 major times in recent memory when pushing the vet to test and when being overly cautious about respiratory things paid off. Based on the images, her right nare does look a bit different-- bottom line, you know her best and that isn't something to mess around with, so if a CAV (vet) is near you, I would take the plunge and get it checked out (just to be safe). I would say it looks like she bumped it and had a bloody nose. As always: you *know* your bird and if you feel something is really wrong ...go with that. Pestering the CAV one time too many hurts your wallet, pestering the CAV not enough may hurt your heart. Truly great advise provided above and well worth following up on. 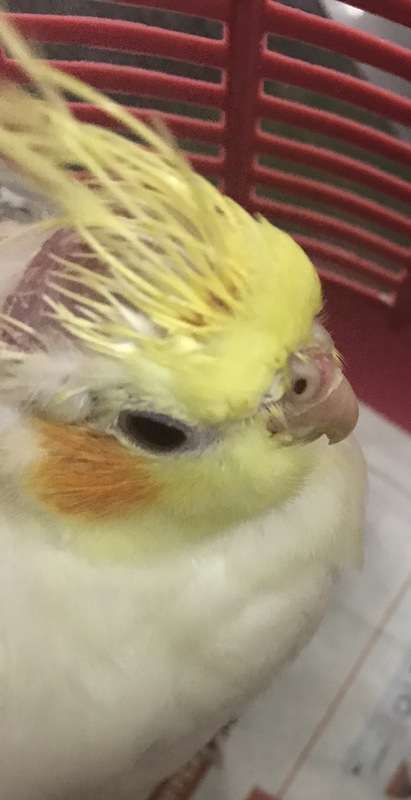 On the very minimal side your Tiel's nostril(s) may need flushing as something may have lodged. 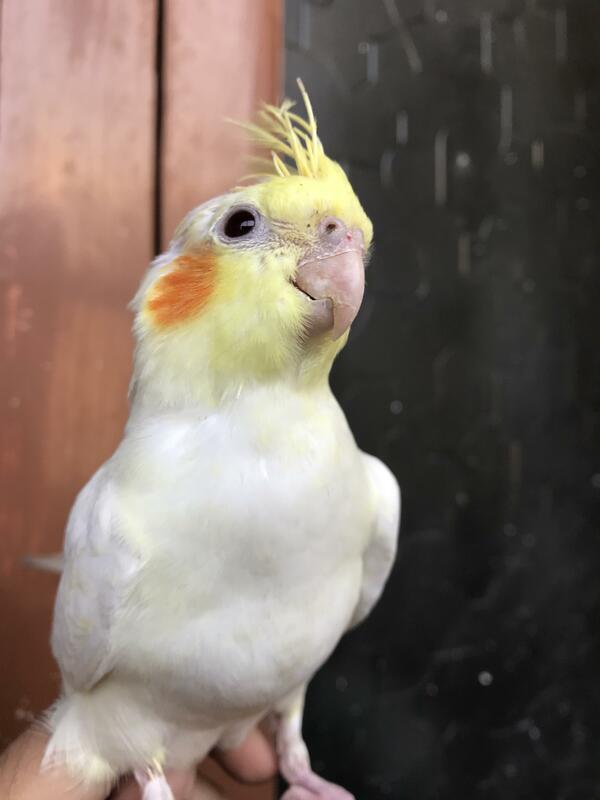 This would also explain your Tiel's causing the scratch. Last edited by SailBoat; 01-16-2019 at 05:25 PM. I agree, it looks swollen to me too, so I don't think you're worrying over nothing, it really does look like the one nostril is pretty swollen, all the way around...Does it look like it's plugged-up or has anything in it? Is she messing with it/scratching it? How about any sneezing? Coughing? Any wheezing or other noise when she's breathing? Is she open-mouth breathing? Beautiful bird. Does look like an infection in the nostril to me. I would get him in before the end of the month. The brown goo in there, along with the feather thinning around the sinus ate on the side of the face, definitely make me think infection. Keep us posted! It does look blocked, yes. There seems to be a brown gooey thing in his nostril. He may have messed with it yes, since there’s a small scratch near his nostril. Well, this started literally two days ago only and the only time he sneezed was yesterday. No open mouth breathing / wheezing / coughing. He’s active as usual but I’m worried it could progress quickly into something worse. I’m going to try and get him to the vet as soon as possible. I hope it’s nothing too serious. Update: Just got home from college and I went in to check on Honey immediately. No more brown goo but it definately seems blocked. Anyone have any idea what this could be? I’m going to call and try to get an appointment in the evening. Update: Couldn’t get an appointment to the vet I wanted to take Honey to. I found another near me and he said he’s squeeze me in. So an hour later, here we are. He said that Honey’s nostril clogged up pretty bad. He cleaned it up (took quite some time) and prescribed an antibiotic for the swelling. I couldn’t be more relieved. Honey was so good today. He was such a good boy even when the vet was holding him down. Thank you so much for your support and messages everyone. This is Honey after the vet appointment.